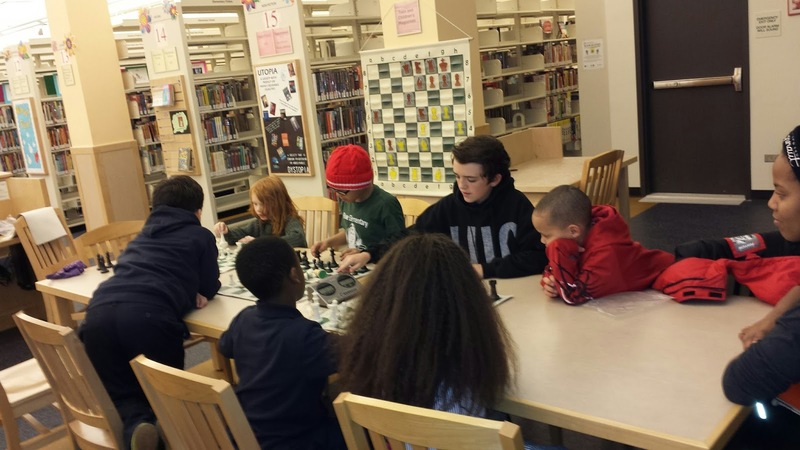 A chess class meets at the West Town branch library, 1625 W. Chicago Ave. Speakers: Katherine Darnstadt and Kristen Moreau of Latent Design. Based at 900 N. Ashland Ave., Latent Design won the city contract for Activate, a placemaking program designed to create People Plazas throughout Chicago. Locally, they will be working on sites at Mautene Court, 1260 N. Milwaukee Ave., and the Polish Triangle at Division, Milwaukee and Ashland. The installations will feature a popup kiosk with a rotating schedule of art, music and other creative programming. They will be working closely with local neighborhood organizations to ensure that the programming reflects the neighborhood. Artists and musicians, as well as anyone else with a creative idea, should contact them directly. EVA is sponsoring part of the West Town Library chess series for the second year. There’s been a great turnout so far this year. Fifield Cos. has broken ground on the new 59-unit apartment complex at 1838 W. Chicago Ave.. The site is being marketed as Luxe on Chicago. The only issue raised at a recent meeting was double parking in front of Carbon, 810 N. Marshfield Ave. Next meeting will be July 15. Getting away from "alternative" policing strategy, CAPS is moving to just community policing. Catherine Garypie recently participated in the community Ukrainian Village yard sale. It was a big success despite the inclement weather, and there may be an additional sale around West Fest on July 11-12.